With a couple Sherlock Holmes games already under its belt, Frogwares finally found the winning formula in 2006 with The Awakened. A melding of Sir Arthur Conan Doyle’s famous detective and H.P. Lovecraft’s Cthulhu mythos, the game puts Holmes and Watson on the trail of a cult who have kidnapped various people for use in one of their dark rituals. Ever the realist, Sherlock may not believe in the supernatural, but the cult poses a legitimate threat, so it’s up to him to stop them from killing more innocent people. His search leads him all across the world, from an asylum in Switzerland to a steamboat in New Orleans, giving the game a welcome scope. It's all presented in free-roaming 3D, making this one of the rare adventures of its time to modernize the genre with current technology. Ironically, a later “remastered” version offered the option to switch the game to a more traditional third-person, point-and-click adventure, making it far and away the most user-adaptable adventure of all time. While the influence of Lovecraft is fairly minimal in anything other than name, The Awakened is nevertheless committed to its dark horror themes. With plenty of blood, dead bodies, and evidence of evil practices, the game does an excellent job of creating a creepy, ominous atmosphere. Though the animations leave something to be desired, the character designs and voice acting go a long way to bringing the iconic characters of Holmes and Watson to life. There’s lots for them to do as well, with crime scenes to investigate with Sherlock’s signature magnifying glass, lab work to perform at 221b Baker Street, and numerous puzzles to solve, including quiz questions that must be correctly answered, creating a varied and well-rounded adventure experience. There have been several cross-franchise mysteries since The Awakened, each further refining the visuals and pushing the series’ technology forward, but they all owe a great deal to the progressive design overhaul established here. 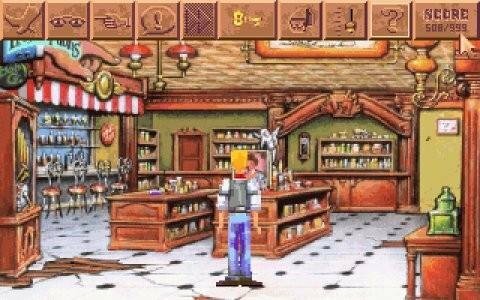 It was this game that made the great detective relevant again to a new generation of gamers, and for that it earns its place among the genre’s best. The impressive Gemini Rue is a 2011 neo-noir science fiction tale with an incredible human element and a mind-blowing plot twist in the third act, but it’s also a stirring example of how one young game designer’s dream can find great success in reinventing the classic Golden Age adventure. UCLA Media Arts student Joshua Nuernberger likely couldn’t have imagined when he entered Gemini Rue into the 2010 Independent Games Festival that just one year later it would be recognized as one of the greatest adventures in the modern era. But that’s exactly what happened, and it’s all done in a very nostalgia-friendly retro format, complete with a classic Sierra-style interface, 320x200 backgrounds and relatively confined areas with mostly simple puzzles. The story is the game’s most outstanding feature, telling the parallel tales of Azriel Odin, a rogue police officer with a dark past searching for a close friend who has disappeared; and Delta-Six, a resident of the mysterious Center 7 facility who, as part of a rehabilitation process, has had his memory wiped and is undergoing weapons training. 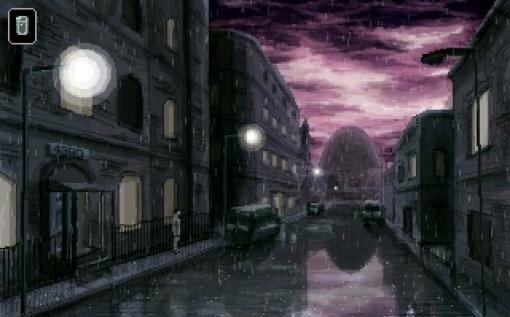 While seemingly disconnected at first, their fates are destined to collide in dramatic and dark fashion in the game's final hours in one of the better story twists that any adventure game has ever featured. The game even implements some gentle action scenes to bump up the intensity of the gunfights. But it's the emotional weight in its storytelling that makes this game a must-play for any fan of neo-noir stories, or retro-style adventures, and within its bleak and impactful story, it points the way to a very bright future for independently developed adventures. Spoofs are always fun, especially if you're a fan of the genre they mock. And if you happen to be a Western buff who can hum the theme to The Good, the Bad and the Ugly by heart, Freddy Pharkas: Frontier Pharmacist is definitely the game for you. Co-written by Josh Mandel and Al Lowe, the latter of Leisure Suit Larry fame, this little Wild West gem trades the raunchy jokes of that series for tons of tongue-in-cheek puns that satirize every major cliché of the Western genre. Midday duels with blazing guns? Check. Moustache-twirling villain who manages to make fun of Sierra's president? Check. Crowded saloon full of prospectors, gamblers, cowboys and prostitutes? Check. And the list goes on. Mel Brooks would be proud. But there's so much more. Underneath the layers of humour is a pretty solid adventure in its own right, with inventive puzzles, entertaining characters (including Srini, Freddy's Indian helper, who is one of the greatest sidekicks ever created), outstanding production values and a script that will both amuse you and fill you with genuine appreciation for a truly fascinating period of American history. You’ll get the chance to employ your pharmaceutical skills with help from the hilarious instruction manual/reference guide. And let’s not forget the jaw-dropping final twist that you can't possibly see coming, which is absolutely guaranteed to put a large smile on your face. The game is difficult, and perhaps a bit too unforgiving at times, but Freddy Pharkas is worth the effort. It’s a fun time for all, and if you haven’t yet played it for yourself, go ahead and give it a shot. Just don’t blow your ear off. 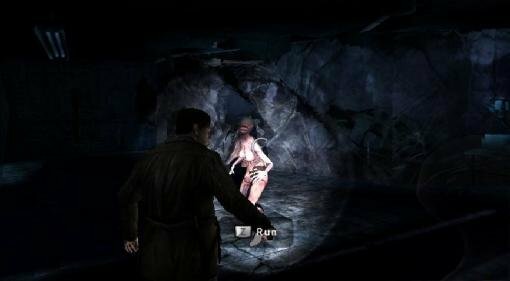 The original Silent Hill, released in 1999 for the PlayStation, helped cement the blueprint for the burgeoning survival horror genre – tight corridors, scarce ammo and health, pervasive darkness, and nonsensical puzzles. Each successive game hewed close to the same formula, until American developer Climax Studios decided to mix things up with a reimagining of the original game, sans combat. When Harry Mason wakes up from a car crash just outside the quiet resort town of Silent Hill, his daughter Cheryl is missing. Setting out to find her, he ends up meeting some of the town’s off-kilter residents, fending off surreal, horrific creatures, and exploring nightmarish mirror-versions of the town. It’s a less splatter-happy, quieter and more psychological adventure than the original, and the lack of combat encourages more exploration than its more frantic predecessors, making for a welcome change of pace and direction for the series. Silent Hill’s initially mundane town locations feel all the creepier because of how familiar they seem. Who expects freakish horrors to lurk in an elementary school or mall? The town looks and feels like a real place, and the play of light and shadow makes even walking around feel tense and enjoyable. Characters feel similarly real and have complex personalities and motivations that go beyond typical NPCs, brought to life with excellent animation and voice acting. 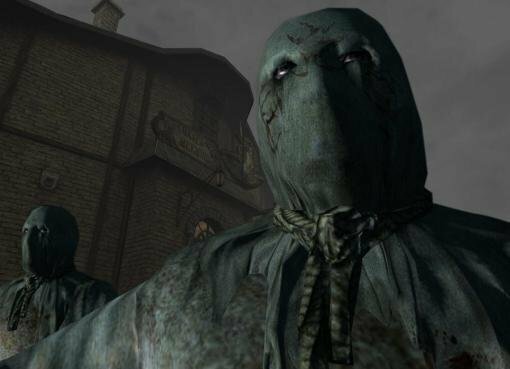 The distinct “Nightmare” sequences, during which Harry has to flee and hide from the grotesque monsters inhabiting the city, are occasionally frustrating but add a definite jolt of terrifying adrenaline to the gloriously creepy, Lynch-ian atmosphere of the rest of the game. You'll want to push beyond your fears to discover the secrets hidden both in the city and in Harry himself in this deep, intriguing character study that plumbs the effects of psychological trauma with haunting truth. There’s more action than a traditional adventure, but far less than traditional survival horrors. Whatever you call it, Silent Hill: Shattered Memories manages to be one of the best games in one of most acclaimed franchises ever, earning it a deserving spot on our list. You may think casual games are all about crazy locking puzzles, hidden object scenes, and generic storylines, but in 2009 Big Fish Games proved that notion completely wrong by releasing Drawn: The Painted Tower. 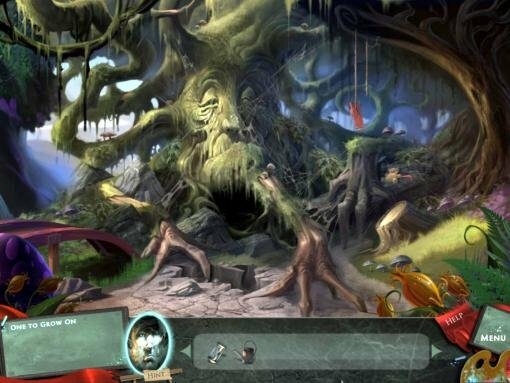 There are no hidden object scenes in this breathtaking “lite” adventure, where you attempt to save a young girl who has the ability to create living works of art. The gorgeous hand-painted fantasy backgrounds, off-kilter architecture and vibrant use of colors are inspired. The majority of the game takes place in a dusky, tarnished tower, where blue and grey hues make for a sombre and subdued atmosphere that explodes into bursts of brilliant red and luxuriant green, warm yellow and peaceful azure as soon as you step directly into a painting. These paintings create windows into picturesque worlds full of enchanted trees, talking scarecrows, quirky witch doctors, and fire-breathing dragons. The game also takes its “Drawn” title seriously; when you pick up a piece of chalk, you’re not just acquiring a simple inventory item; you’ll use that chalk to actually draw changes in your environment, such as altering a scene to make it rain. These drawing challenges are interspersed with more traditional inventory puzzles and logic puzzles that are gloriously integrated and wonderful to look at. A mechanical clockwork, as merely one of many imaginative examples, is a highly detailed painted wood cutout where you have to match the correct weapon against the appropriate beast. All this and a powerful musical score make this game a giant artistic leap forward in the world of casual adventuring. It has since spawned two additional sequels that have arguably outshone their predecessor, but Drawn: The Painted Tower was the first to lay its bold brushstrokes to canvas.